Age Requirement for Use of Site: This Site is not intended for use by persons under the age of 18 years old. You must be 18 years old or older to provide any personal information to the Site, or to us through the Site. Personally Identifiable Information The Site may request and collect certain personally identifiable information including, but not limited to, Application Data and other personal information contained in User Submissions, through various means such as online forms, online applications, e-mail and comments submitted to the Site. Such information collected through the Site may include financial information, health-related information, and other sensitive information. Non-Personally Identifiable Information We may also collect certain non-personally identifiable information via the Site, such as Site usage activity and preferences, also known as demographic or profile data. Why must you give so much personal information? 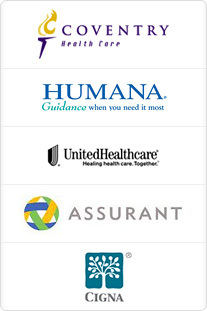 Insurance companies establish their rates using a variety of criteria. Since we deal with hundreds of companies, we must ask you questions required by all of them to determine the most competitive match for you. Usage and Sharing We use information collected on and through this Site for a variety of purposes in the course of business and as otherwise set forth herein. For example, such information may be used to process your applications to receive quotations or to send you information about our and our affiliates' products and services and other information and materials that may be of interest to you. This information may also be used to evaluate what portions of the Site are more popular than others, determine where visitors came from, where they go, and how long they stay on a particular page, or the Site in general. We may match information collected from you through different means or at different times, and use such information along with information obtained from other sources, including third parties. Browsers and Internet Security Any time you enter or provide personal information in our website, we encrypt it using Secure Socket Layer ("SSL") technology. SSL protects information as it crosses the Internet. To support this technology, you need an SSL-capable browser. We recommend using a strong encryption, 128-bit browser such as Microsoft's Internet Explorer 4.01 or higher or Netscape Navigator 4.06 or higher. These browsers will activate SSL automatically whenever you begin shopping for plan on our website and when you return to our website to complete an application. Security Risk of Using Non-Approved Automated Software Applications For security reasons to guard the safety of your data, access to this website is limited to SSL-capable browsers such as Microsoft's Internet Explorer 4.01 or higher or Netscape Navigator 4.06 or higher. Under no circumstance should you use any software, program, application or any other device to access or log-in to the www.calhealth.net website, or to automate the process of obtaining, downloading, transferring or transmitting any content to or from our computer systems, website or proprietary software. Links to Other Websites Our website contains links to other websites. Please note that when you click on one of these links you are "clicking" to another website. We are not responsible for the information privacy practices or the content of such websites. We encourage you to read the privacy policies of these linked websites as their information privacy practices may differ from ours. Consent to Processing By providing any personal information to this Site, you fully understand and unambiguously consent to the transfer of such personal information to, and the collection and processing of such personal information in, the United States and other countries or territories.